How will we tame the information beast? We will use its weapons! Welcome to the SRS Blog. Here we will guide you to and through some of our favorite resources for studying Russia, Eastern Europe and Eurasia. Creating a Digital Exhibit, "Lithuanians in Chicago"
Last semester, Slavic Reference Service Graduate Assistant, Erika Weir worked with the Lithuanian Research and Studies Center to develop a digital collection of archival materials related to the history of the Lithuanian community in Chicago. Although over 4,000 miles away from Lithuania, Chicago is home to one of the most active Lithuanian communities worldwide. As early as 1908, Chicago was home to the largest Lithuanian population of any city in the world with over 50,000 Lithuanian residents (Lietuva 1908). The Chicago area still remains home to an active Lithuanian-American community and the legacy of Lithuanians in Chicago is still evident throughout the city and suburbs. The project attempts to highlight the activities and influence of the Lithuanian migration to Chicago through visual artifacts. "Lithuanians in Chicago" was created using the digital publishing platform, Scalar. The majority of items included in the collection were scanned directly from the archival collections of the Lithuanian Research and Studies Center. Contextual information about each item, like the date created, author, and location of event is given within the respective metadata field. The collection also includes relevant items from additional online sources like the Internet Archive and articles related to this unique subject. Within the collection, items are organized are by overarching themes: Arts & Culture, Education, Politics, Press, and Organizations. The collection also highlights the activities of Janunimo Kongresas, the Ateitis Foundation, and the Lithuanian Scout Association. Moreover it also showcases specific subsections on the annual celebrations of Lithuanian Independence on February 16th and Lithuanian Folk Dance Festivals from 1957 to 1976. Included in the collection are some materials related to the influence of Lithuanians on a national and international scale. Some of the more unique items include a Lithuanian- translated edition of The Jungle by Upton Sinclair which famously featured a Chicago Lithuanian family, the presidential schedule when the Lithuanian-American Council met with President Truman in 1948, and a photo of First Lady Patricia Nixon at the 1972 Lithuanian folk Dance Festival. Translated version of The Jungle by Upton Sinclair which featured a Chicago Lithuanian family. 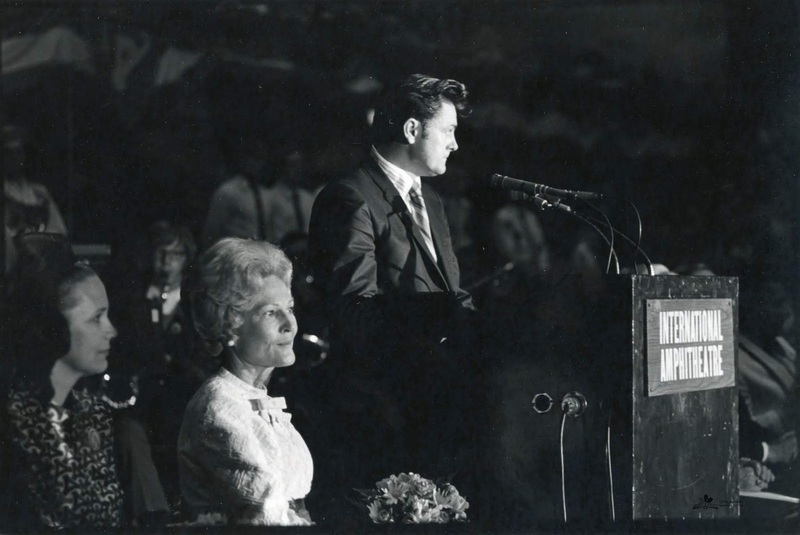 Because this collection was intended to serve as introduction to the Chicago Lithuanian community, the site also includes resources for further information on this subject. Both a bibliography of resources consulted and a page on other digital collections to explore have been included to help introduce users to this subject. Yesterday, the Slavic Reference Service was fortunate enough to host Effim Melamed for a lecture on archives in Ukraine. Melamed is an expert on the subject and has been conducting research in Ukrainian archives for over thirty years. His presentation covered many of challenges and opportunities researchers from both Ukraine and abroad may encounter when visiting archives. He also spoke about many of the interesting archival situations he has encountered throughout his career. Below we have included a short bibliography of sources for further information about conducting archival research in Ukraine as well as recording of Melamed's lecture. Dekhti︠a︡rʹova, Natalii︠a︡ Anatoliïvna. Evreï v Ukraini: naukovo-dopomiz︠h︡nyĭ bibliohrafichnyĭ pokaz︠h︡chyk, 1917-1941. Kyïv: Knyz︠h︡kova palata Ukraïny, 1999. Kupovet︠s︡kiĭ, M. S. & Melamed, E. I. Dokumenty po istorii i kulʹture evreev v arkhivakh Kieva : putevoditelʹ. Kiev: Dukh i litera, 2006. Melamed, E. I. Arkhivnai︠a︡ iudaika Rossii, Ukrainy i Belorussii: materialy dli︠a︡ ukazateli︠a︡ literatury. Sankt-Peterburg: Izd-vo Peterburgskogo instituta iudaiki, 2001. Melamed, E. I. Dokumenty po istorii i kulʹture evreev v regionalʹnykh arkhivakh Ukrainy: putevoditelʹ. Kiev: Rossiĭskiĭ gosudarstvennyĭ gumanitarnyĭ universitet, T︠S︡entr bibleistiki i iudaiki, 2009. Like their peers in the other Baltic States, Estonia has made tremendous efforts in terms of digitization. One of the most robust and accessible projects in Estonia is the Archival Information System created by the National Archives of Estonia. Their Archival information System allows users, regardless of affiliation, to search the collections of the National Archives of Estonia. The National Archives of Estonia have also created multiple databases that allow users to access digitized materials from their collections as well as the collections of other Estonian archives. Saaga: Digitalised Archival Sources provides access to all the archival records digitized in the National Archives of Estonia and Tallinn City Archives. The original purpose of this source was to provide access to genealogical materials so many of the collections reflect this focus. However, there are new materials being added regularly, you can find more than 9 million images of sources at the moment. Collections include: church records, family archives, municipal records, maps, and other government records. The Film and Sound Archive Database (FIS) allows users to search the film and sound archives of the National Archives of Estonia. The collections of the Film Archives include film and video material on Estonia from the early 20th century to the present. Materials include newsreels, newsreel segments, documentaries, music films, feature films, animated films, advertisements and amateur films. The Sound Archives consist primarily of phonograph records produced since the early 20th century, as well as of the radio broadcasts produced from the 1930's and later. Users can search both the full archives or restrict to digitized material. FOTIS, photo database, allows users to search the holdings of the photo archives and access digitized copies when available. The archives hold Estonia's largest collection of historical photographs dating as early as the late 19th century. Materials include portraits and albums of Baltic German families, military figures, student fraternities, émigré Estonian organizations and the agriculture and genealogy societies. Kaardid, map database, provides access to the registers of historic maps held by the National Archives of Estonia and Tallinn City Archives. Users can access both descriptions of maps located at the archives and digitized copies. The database currently has over 140,000 descriptions and over 50,000 digitized maps. 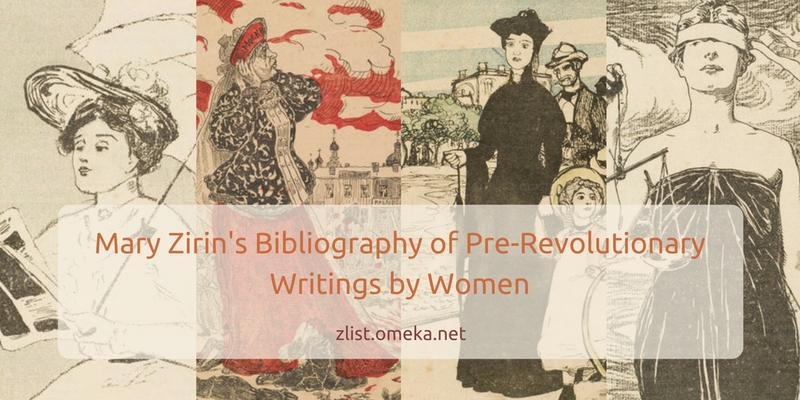 We are excited to announce that Annabella Irvine and Sveta Stoytcheva of the Slavic Reference Service recently completed an online database of Mary Zirin's Bibliography of Pre-Revolutionary Writings by Women. 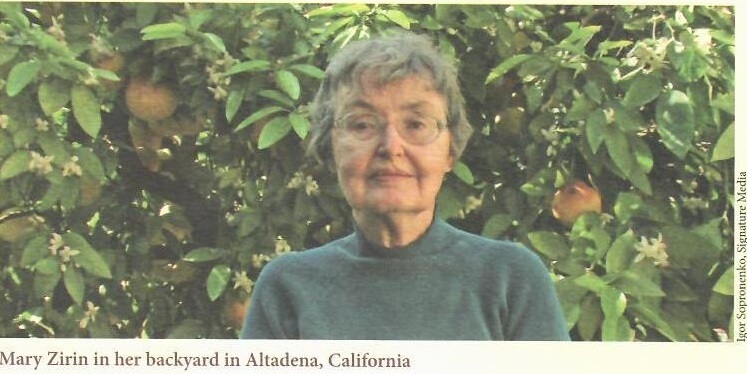 Mary Zirin gave her bibliography to the Slavic Reference Service in 2009. The database allows researchers to search for works in her bibliography by keyword, title, and author, among other fields. Mary is a longtime supporter of the Slavic Reference Service and patron of the service’s Summer Research Lab. The website is intended to honor her work, as well as make it available to other researchers interested in Russian women writers. The database contains over 3,000 entries of authors from the time period, their bibliography, and references. Included in the bibliography are any fiction OR one nonfiction work of at least ten pages OR two poems; with some exceptions for works of special interest to women. It does not include authors that appear in the following standard reference works: Dictionary of Russian Women Writers, Women and Gender in Central and Eastern Europe, Russia, and Eurasia: A Comprehensive Bibliography. Volume II: Russia, the Non-Russian Peoples of the Russian Federation, and the Successor States of the Soviet Union, and Russkie pisateli 1800-1917. Biograficheskii slovar'. 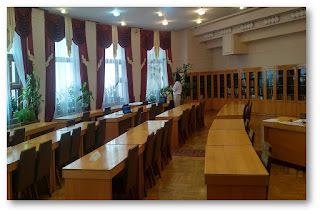 To assist scholars with archival research, this database contains references (whenever possible) to personal archives from Lichnye arkhivnye fondy v gosudarstvennykh khranilishchakh SSSR. Ukazatel'. Within the field of Slavic, East European, and Eurasian Studies, Mary Fleming Zirin stands out as a beacon of strength and hope to students, faculty, librarians, and independent scholars. It is impossible to summarize Mary’s extraordinary contributions to the development of Slavic and East European Women’s Studies. As a bibliographer, Mary introduced significant number of scholarly sources on women and gender, which are now standards in the field. These include Dictionary of Russian Women Writers (1994), Women & Gender in Central and Eastern Europe, Russia, and Eurasia: A Comprehensive Bibliography (2007), and Women East-West Current Bibliography through the Association for Women in Slavic Studies. Her tireless advocacy on behalf of independent scholars, who are in constant need of access to collections and services, continues to this day. 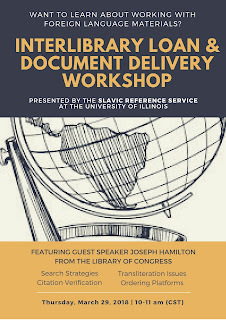 Recently, we hosted an online workshop for ILL professionals in order to share some of favorite techniques and resources that we use in processing interlibrary loan requests. Since our foundation, the Slavic Reference Service has worked closely with our ILL department to assist with request from our subject areas. In processing these requests, we first verify the citation then locate the item using a variety of tools that are useful for both scholars and librarians alike. Below, we have provided some of the digital resources we often use to solve common bibliographic, transliteration, and location issues. Often bad citations can persist throughout the bibliographic literature if they are listed incorrectly Ulrich’s: International Serials Directory which is available through our University Library. However, for individuals who do not have access to this product, we also have found elibrary.ru and national library catalogues extremely helpful. The Indiana University Digital Library Program has also provided a digitized copy of Letopis' Zhurnal'nykh Statei, a serial publication that indexes Soviet-era periodicals from 1956 to 1975. Our research guides also provide bibliographic information (links to databases and catalogs) for countries in the region which can help to locate correct citations in order to locate an item. Another common issue in correctly locating texts can often lie in the transliteration system. One of the most useful transliteration resources we have found is the Transliteration Project provided by the Gardener’s Club of Slovakia. Although most catalogues follow the ALA/LOC transliteration standards, some may not. If you are having issues locating a text in a catalogue, the problem may lie in the transliteration system and it is helpful to check. Finally, the growth of digital libraries in the Russian, East European, and Eurasian region has provided us with numerous resources for indexing and locating full-text digital copies of items. Our LibGuides also provide further information about digital resources for specific subjects in the subject area. Finally, our staff can provide research consultation and answer specific questions about any of these resources! Europeana is an online resource for digitized cultural materials from all across Europe. More than 2,000 institutions have contributed to Europeana and the collections continue to grow. The history of this online source is an interesting one. In 2005, former president of France, Jacques Chirac, along with six Heads of State from across Europe, called for the creation of a European digital library in a letter to the European Commission. The project has developed and flourished over time, encompassing different aspects of information technology. The Europeana Foundation is the leading body of the entire project, which includes the digital library at europeana.eu. The Foundation is also head of the Linked Open Data project. Several countries are already participating in the linked open data project by providing data sets of raw data. These are available for anyone to use. The project will undoubtedly continue to grow, and more data will be made available over time. There are several ways to explore the digital library using the main Europeana search portal. Images, text, sounds and video make up the available items and material, and extensive metadata is included with each entry. Subject or descriptor headings are linkable, so one item will lead the scholar to other similar items with just one click. Many of the descriptors are in English, as well as in the language of the originating institution. Another unique feature of Europeana is the collection of online exhibitions. Each exhibition has a theme, and all images or sound files included are annotated in detail right on the page. Certain exhibitions are hosted by partner institutions, while most are compiled by Europeana, which uses its collections provided by institutions of cultural memory from across Europe. Europeana is also very active on social media sites, including Pinterest. This is the perfect forum for Europeana's content, as it has included tons of images, and organized them by theme on different boards. You do not need a Pinterest account access these boards. Finally, Europeana recently launched a project called "Europeana 1989: We made history". Working with HistoryPin, an online community where people can "pin" images to certain places on a map, Europeana's newest project is a crowd-sourcing endeavor. People are invited to contribute their pictures and stories about where they were in 1989, what life was like and what was happening at the time. The project only launched in early June 2013 and is growing at quite the pace. Consider exploring the contributions, or adding something yourself! The Russian National Library is an essential resource for many scholars studying Russia and the former Soviet Union. 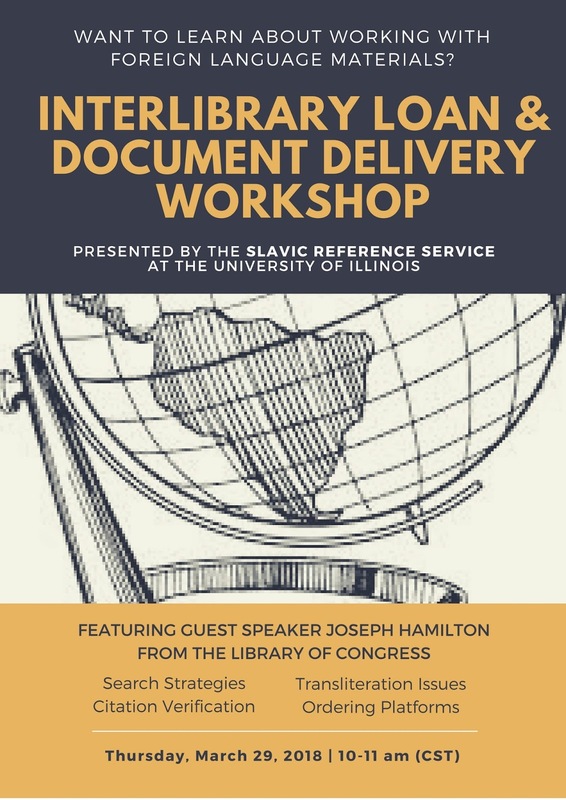 Not only does the library have an amazing scanned card catalog and periodicals database (both of which are heavily used by the Slavic Reference Service), the institution's librarians also create detailed guides to reference and bibliographic sources open to public use. The newest guide that the Russian National Library has created is about linguistics: Языкознание. Although its focus is mainly that of Russian linguistics, it does not limit itself to that topic, as there are sections about Germanic and Romance languages, as well as other Slavic languages. The guide is divided into three parts: 1.) Directories, which include encyclopedias, glossaries, and dictionaries 2.) bibliographic tools and databases and 3.) Other portals and websites. Each of these main categories leads to a list of books, journals and articles; the list of links lead to annotations for the items. The final section offers web links the Russian National Library deems valuable to the study of linguistics. This guide is obviously directed at linguistics scholars who already know Russian, but a student of the Russian language could benefit from some of the resources listed. The guide itself is a rich resource, allowing scholars to learn about a variety of resources from one spot on the Russian National Library's website. The Baltic states are small but they pack a punch when it comes to digitization and open access of scholarly materials. Latvia is no exception. The Latvian National Digital Library offers amazing access to full-text resources, including periodicals, books and maps. This digitization project was made possible in part by the European Regional Development Fund. The European Union created this fund to help even out the economic disparities between western European countries, who were already members of the EU and new member states, many of which were formerly part of the Soviet bloc of countries. You may be wondering, how does regional development coincide with digitization? Are you working on a research project that involves the Balkans? 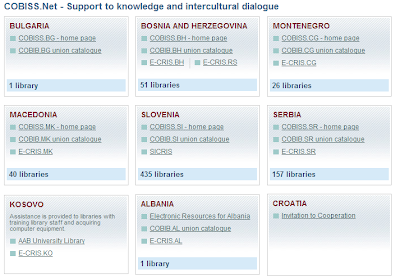 Don't forget to take a look at COBISS.net, which provides access to the national and regional library catalogs from Slovenia, Serbia, Macedonia, Bosnia and Herzegovina, Montenegro, Bulgaria and Albania. As you can see, there are hundreds of libraries that participate in this project for sharing information across the region. Croatia is currently not a part of the project, although organizers have offered an official invitation to participate. Libraries in Kosovo will be included eventually, as they are still preparing to join. The libraries that participate range from the National Libraries of each country, to University libraries to even small local libraries. Each union catalog offers an efficient way to search for materials to borrow, or just to verify bibliographic information. To enhance the automation and inclusion of libraries of already participating countries in the national library information systems and in the COBISS.Net network. To attract the interest of libraries in Albania, Bulgaria, Croatia and Kosovo to the opportunity to evolve more rapidly by becoming part of the COBISS.Net network. To harmonise cataloguing rules with international recommendations and standards. To set up compatible research information systems (SICRIS/E-CRIS) in the participating countries (databases on researchers, research organisations and research projects). To encourage the competent ministries and universities of the participating countries to accept the concept of managing researchers' bibliographies within the national library systems and ensure the transparency of the research results. "...There are currently some 1.4 million Polish records already in WorldCat. This new agreement with the National Library of Poland will nearly double the number of Polish records in the database. 'We are very pleased to be able to enrich WorldCat with additional Polish content,' said Eric van Lubeek, Managing Director, OCLC EMEA. 'Polish communities and other researchers around the world who are interested in Polish language literature, history, culture and other important and useful information will certainly benefit from this addition to WorldCat.'" Full article is available here: http://www.oclc.org/us/en/news/releases/2012/201269.htm. Scholars looking for information about Georgia should include the National Parliamentary Library in their search repertoire. This institution offers incredible access to the information it holds and organizes. Georgian is a beautiful language, but don't fret if you have no clue how to read it, or are just starting to learn it, because the website it available in English. This helps tremendously with navigation. Here http://www.nplg.gov.ge/ec/en/changedb.html is a complete list of online databases the library has compiled. Feel free to explore all the options. The Greenstone Project of UNESCO – a digital collection of Georgian literature, including all famous authors’ works of Georgian classical literature and the authors’ short biographies. There are also complete texts on civil education. A digital collection of printed archive and dissertations – complete texts of the books and theses. There are also scanned versions of printed publications in PDF format. There are several options when searching on this site- English, Georgian script, Georgian transliteration, and Russian. The searcher will probably not find as much information by searching in just English. The majority of bibliographic records will either be in Russian or Georgian script. There are some resources that can help in transliteration which may, in turn, help in a search. A well-known "secret" within the Slavic Reference Service is that libraries and information organizations from across Eastern Europe provide full-text access to many of their best resources. Hungary, oddly enough, is one of the best examples of this phenomenon. Below is a list of a few online databases that offer the full-text feature for their items. Be prepared to encounter some restrictions, however, since copyright laws still apply in Hungary and items may not be available to users outside the country. Give it a try, though, and you may be surprised at what you find. After 30 years I will be leaving the Slavic Reference Service for some new opportunities that arose in the library. This was something I had been considering for the last couple of years and all the retirements in our library afforded me some wonderful opportunities. The Slavic Reference Service will of course continue its excellent work. Thank you for all your support over the years! The new manager for the SRS has not yet been selected but there will be an announcement when that occurs. Congratulations to Professor Ann Kleimola who, in May 2012, was made a laureate, Socius Honoris Causa, of ELTE (Eötvös Loránd Tudományegyetem/ Eötvös Loránd University of Budapest, the oldest university in Hungary), Ruszisztikai Központ (Faculty of Russistics). Professor Kleimola is a long time attendee of the Summer Research Lab at the University of Illinois and the moderator of our annual Early Russian History group at the SRL. The major Ukrainian library has been successfully developing its collection of digitized materials. Library users can access full-text governmental publications of different historical periods; rare books and early Ukrainian prints; rare publications on Ukrainian history and culture; Western European incunabula of 15th-16th centuries; publications on ethnography. Digital library “Culture of Ukraine” is an excellent internet source that gives you the opportunity to read rare publications pertaining to cultural history of Ukraine. Books, albums, journals, magazines, and rare publications in full format on architecture, arts, music, ethnography, religion, folklore, photography, theater, and cinema are easily accessible. Ukrainian libraries, museums, and academic institutions are among project participants. The site has subject and alphabetic catalogs, and it is regularly updated. Digital Library "Culture of Ukraine"